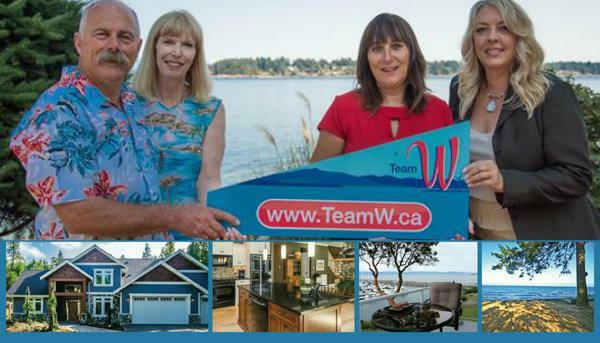 Welcome to TeamW of RE/MAX First Realty, your source for real estate in the Oceanside area, specializing in properties in Parksville, Qualicum Beach, Nanoose Bay and French Creek and surrounding areas. Looking to purchase a new home? 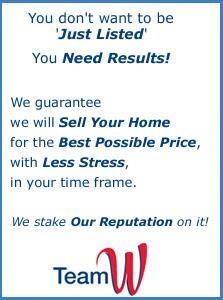 Avoid feeling overwhelmed and take advantage of our experience and knowledge to find the home of your dreams. Thinking of selling? Exposure is everything. Leverage our experience and marketing tools to turn 'selling' into 'sold'. Have questions? We 're here to help find answers and provide insights into the local area. 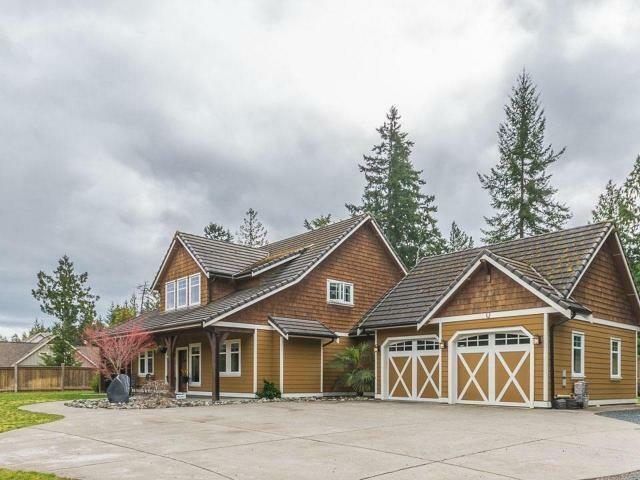 Rare opportunity for this Qualicum Beach Estate situated on 1.5 acres! 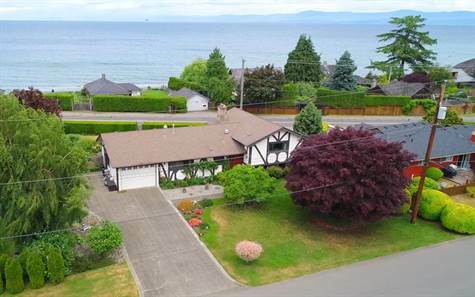 This 4 bedroom 3 bathroom home is located a short stroll from sand, surf, and all the amenities of downtown Qualicum Beach. Impressive entertainment-sized kitchen with granite counters and island, quality cabinets, and stainless appliances including wine fridge. Luxury master bedroom ensures private space, complete with propane fireplace to cozy up to. Spa-like en-suite including claw soaker tub and huge walk-in shower. This home also has a heat pump to keep you warm in winter and cool in summer, as well as in-floor radiant heating in the bathrooms. The wide-open Great Room has vaulted ceiling with beams and a propane fireplace. Opens onto a private south facing backyard with a stunning waterfall feature and pond to sit and relax on a summer night. Fully landscaped garden with underground sprinklers. RV parking and double car garage. Minutes to highway access, 30 mins to ferries, 45 mins to airport. 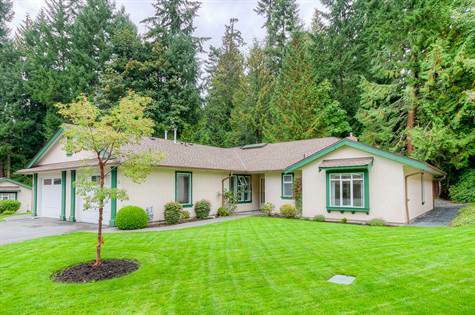 This 3 bed, 3 bath home sits just across the road from Qualicum beach. Walking distance to Memorial Golf Course and Qualicum village with all the amenities it has to offer. Kitchen opens to the family room, custom-made cherry wood kitchen cabinets with quartz counter tops and butcher block island. Living/dining room provides a welcoming space for entertaining or relaxing to watch the cruise ships go by. Cultured marble bathroom features. Gas fire forced air furnace, two gas fireplaces, and wood stove, in-floor heating in master bathroom. One car garage and ample parking for your RV or boat. Separate entrance to basement with bed, bath, and rec room. Possible opportunity for Airbnb or rental mortgage helper or in-law suite. Relax on the patio and enjoy the privacy hedges, rose garden, and fruit trees in the fully-irrigated landscaped yard. Potential for 2nd story to further enhance your ocean views. 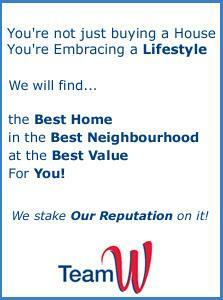 Looking for a detached shop, or potential suite, within walking distance to Parksville? 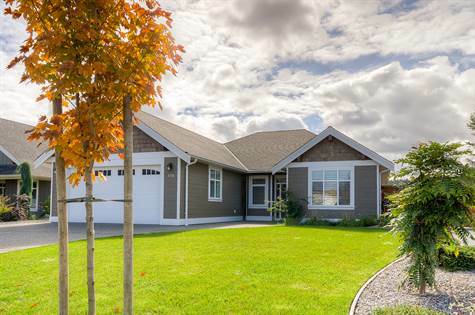 Look on longer, this 3 year young rancher constructed by Carey Developments is situated on a 65 x 180 lot within blocks of town. Quality home with over 1900 square feet, wonderful great room with 8 ft island, 3 bedrooms, hot water on demand, heat pump for climate control and a large laundry room with great storage is worthy a look. Lots of storage and 25 ft deep garage. The lot is fully landscaped and you are able to drive to the detached shop situated at the back of the property. The shop with its own 3 piece bathroom has its own hydro and gas meter and is constructed in such a manner you could easily make it into a legal suite. Currently the shop is two rooms (one could be a bedroom) + the bathroom and is roughed in for a kitchen. Has a high carport for parking an RV, another car or extending the shop/suite. Home Warranty is in place. 3 blocks to Thrifty Centre or 5 blocks to the beach. s in the fully-irrigated landscaped yard. Potential for 2nd story to further enhance your ocean views. 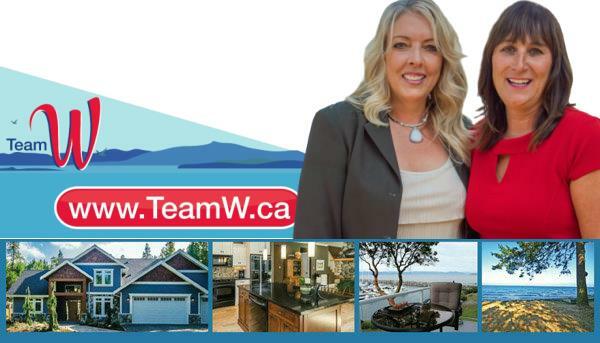 Are you looking for a 2 bedroom, 2 bathroom patio home in the West end of Qualicum Beach? Check out this Westwood Estates unit. Two good size bedrooms and guest room has direct access to the main bathroom. Master bedroom has a 4 piece ensuite. Living area consists of an open central kitchen with family room on one side and a dining area and living room on the other - or let your furniture dictate how you use the floor space. Attached single car garage. Pet permitted (1 dog or 1 cat), no rentals and age restricted to 55+. Bring your ideas for new flooring and make this unit yours. This fully furnished Cypress model on an almost double sized lot (over 3,600 sq ft) & over 600 sq ft of decks has an abundance of outdoor space & is all you need for part-time living or recreation at Oceanside Village Resort. 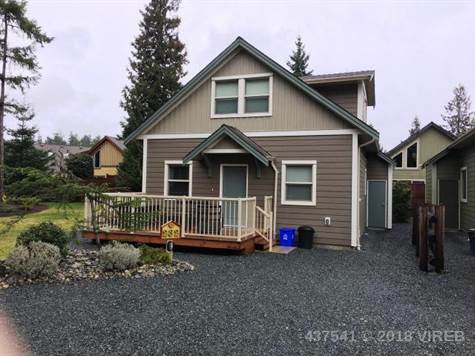 With master & second bedroom on main, as well as an ensuited loft area which serves as a 3rd bedroom or flexible space, this 1109 square foot home is fantastic. Fully furnished, the cottage has a comfortable great room plan with vaulted ceilings and electric fireplace. Not only a deck in the front but a massive one that wraps around the side and back - truly an exception to the rule. There is access to the deck in the dining area & the living room. Option of sun or shade for out door living. The location of this unit within the resort is one of a kind given the great lot and great privacy. a stroll to the swimming pool, exercise room, bistro, management office, mini golf, art gallery and more. A short walk takes you to Rathrevor Park and the most magical sandy beaches Vancouver Island has to offer. This truly is a great investment or recreational property. This place is awesome and the neighbors are great. The dogs are well and we seem to fit right in. There is a lot of work to do and work is busy too. Got to love it . Appliances are coming in tomorrow. Putting the propane in on tues. got all the lines dug in. You should stop by for a beer sometime. Thanks for everything and I tell everyone what an excellent time we had with you buying our little piece of paradise. Thanks for all your work in making it happen, we are very pleased with our purchase (and the price)! We were very impressed with your diligence and work to make things happen. We will certainly recommend you to others.